If you go cloud, do it the right way! The best solution in the best price! DigitOnTheCloud is a sophisticated commercial application for modern day SOHO market, allowing monitoring of assets and liabilities, inventory stock availability, customer remittances and supplier payments and in general the daily life of a modern company in the world of internet. 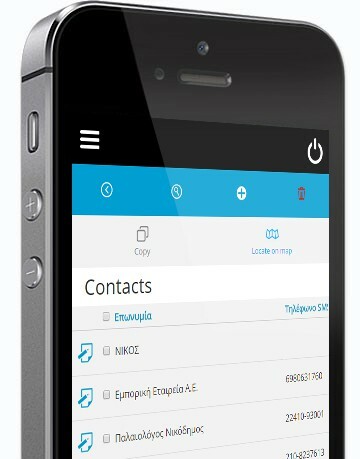 The Development technology of DigitOnTheCloud allows platform operation without dependence on computing resources, mobile devices and desktop computers, while our dedicated hosting environment ensures uninterrupted worldwide operation for every company that operates 24/7. DigitOnTheCloud brings the most recent Software / Commercial application support for trading, finance and business management of a SOHO company . Powerful Features, you'll love it! It is pretty straight forward:A business software you can work with. and other web technologies in your hands! Every technology in one platform! Transform your business software into an ecosystem accessing information like trading parties, items and services, pricelists, payoff due dates, pending orders, web site, B2B & eshop, News Feeds, Sliders , Google Maps. Its fast, its lightweight, its agile and user friendly. We added all necessary tools to help you get results from day one, and power to help you adapt your future requirements no matter where you are. Have more requirements? DigitOnTheCloud can be adapted to suite your needs and follow any operating environment. Dont be overbudget ever again! Our pricing policy is competitive and fully scalable to fit your needs. Pretty Sweet Right? Launch it Today! Start your own business environment today without any financial obligation! It is free for 30 days, no credit cards or complex registration needed. You will be up and running in about 5 minutes!Business Software as it should have been. Είμαστε η ιδανική επιλογή για την επιχείρησή σου! Agile and expandable solution!This is what we developed so that your current or future requirements can be adopted successfully and the time you need them. 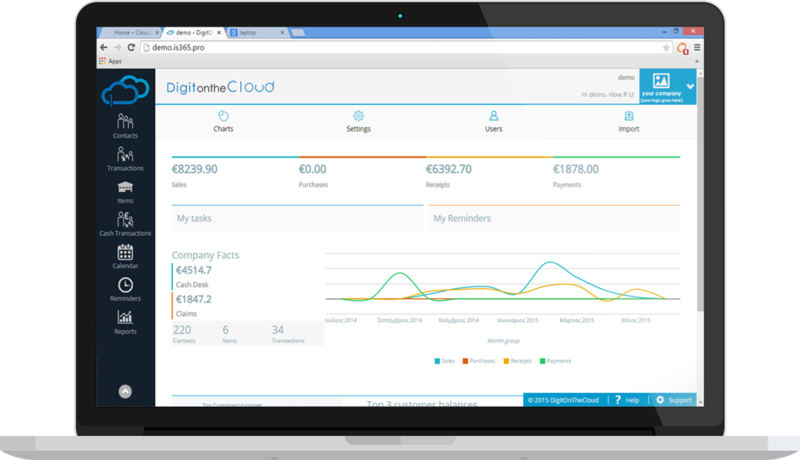 DigitOnTheCloud platform provides the option of creating additional fields and entities to comply with your operational logic!